A pre-workout is something you take before you work out to increase performance, energy, stamina, strength and focus at the gym during your workout. The main purpose of the pre-workout to help bring your workouts to the next level by making sure that you’re not tired in the gym and you’re pushing yourself to your true limits. This is pretty self explanatory but most people take pre-workout as a means of feeling more energized or less fatigued during workouts. Often people come to the gym early in the morning before work or after a long workday, so the ‘ritual” of mixing and consuming a pre-workout helps them feel readied for what they have ahead of them. The energizing/focusing nature of the caffeine paired with the palpable sensation of the beta-alanine tingle can create a powerful somatic feeling. 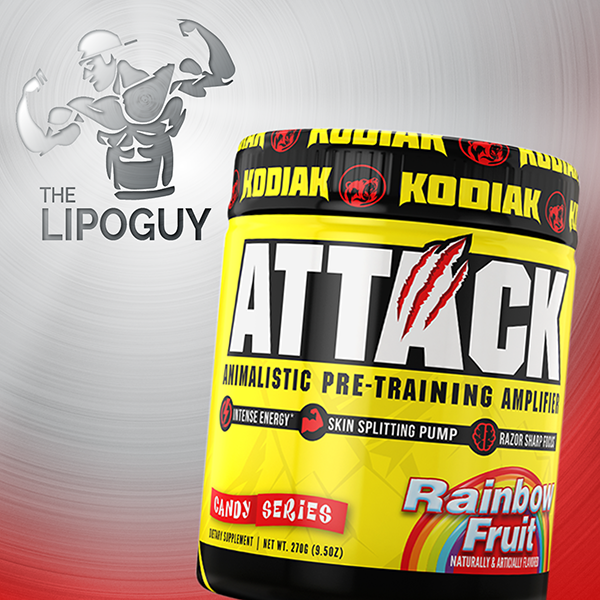 What pre-workouts do we recommend? This powerful preworkout formula is designed to give a quick custom serving for every user. As a powdered product, each and every user can fully customize their serving size and frequency however they choose. Kraken was scientifically formulated to offer a full – fledged pre – workout priming experience like no other. From the carefully dosed selection of energy providing ingredients like TeaCrine and Cocoabuterol® to scientifically proven muscle pump inducing ingredients like Vaso6 and HydroMax , Kraken hits every angle a pre-workout attempts to cover. Assess your tolerance ladies and gentleman. Dust is not for the faint of heart. 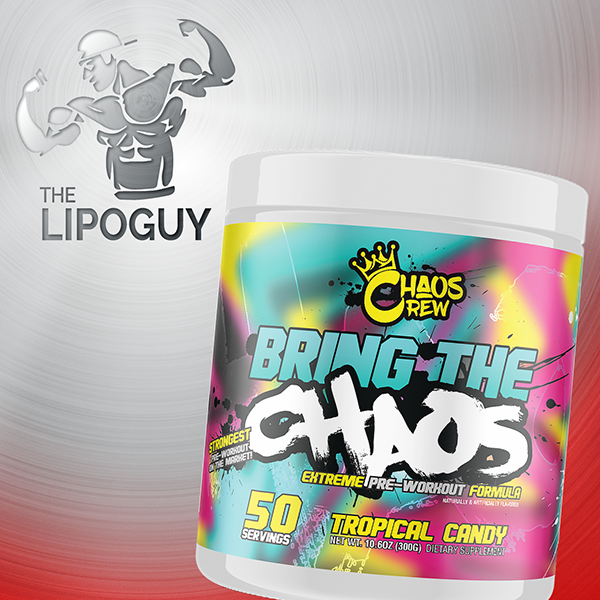 We 100% guarantee once you start on Bring The Chaos, you won’t try another pre-workout ever again. Thought you couldn’t have better workouts than you did on the original formula? Try again my friends, Bring The Chaos is about to blow your mind! Strength, endurance, power, and pumps – nothing else matters in a workout! Assess your tolerance ladies and gentleman. Dust is not for the faint of heart. 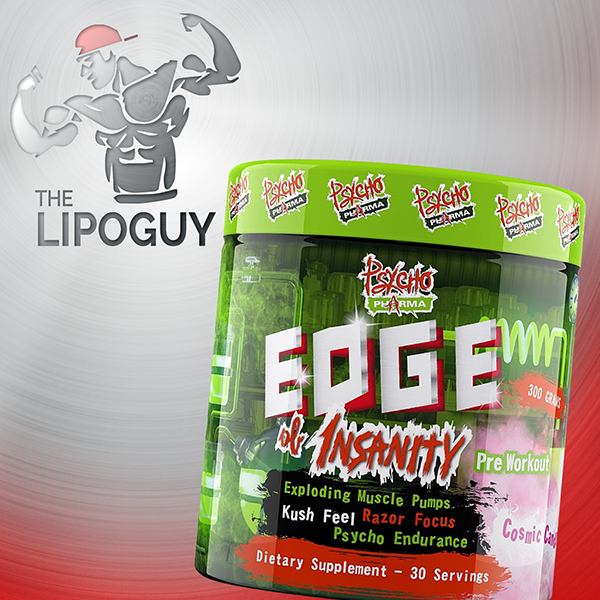 We 100% guarantee once you start on Psycho Pharma Edge Of Insanity, you won’t try another pre-workout ever again. Thought you couldn’t have better workouts than you did on the original formula? Try again my friends, Psycho Pharma Edge Of Insanity is about to blow your mind! Strength, endurance, power, and pumps – nothing else matters in a workout! Assess your tolerance ladies and gentleman. Dust is not for the faint of heart. 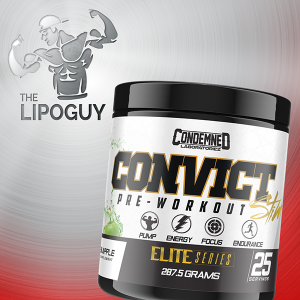 We 100% guarantee once you start on Condemned Labz Convict, you won’t try another pre-workout ever again. Thought you couldn’t have better workouts than you did on the original formula? 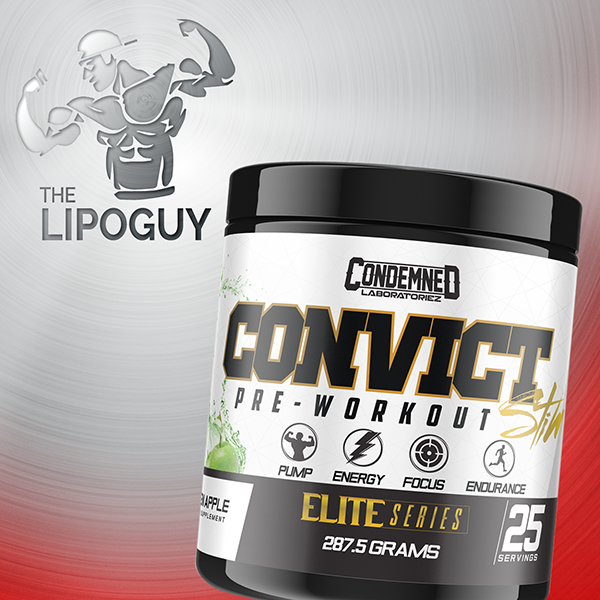 Try again my friends, Condemned Labz Convict is about to blow your mind! Strength, endurance, power, and pumps – nothing else matters in a workout! Assess your tolerance ladies and gentleman. Dust is not for the faint of heart. 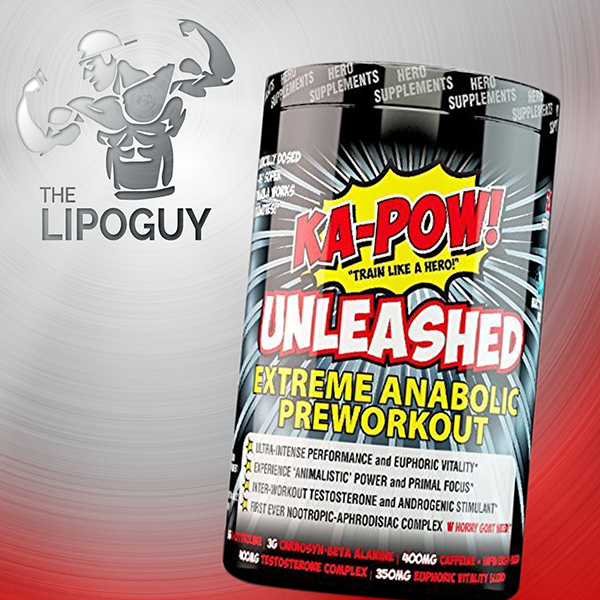 We 100% guarantee once you start on Ka-Pow UNLEASHED, you won’t try another pre-workout ever again. Thought you couldn’t have better workouts than you did on the original formula? 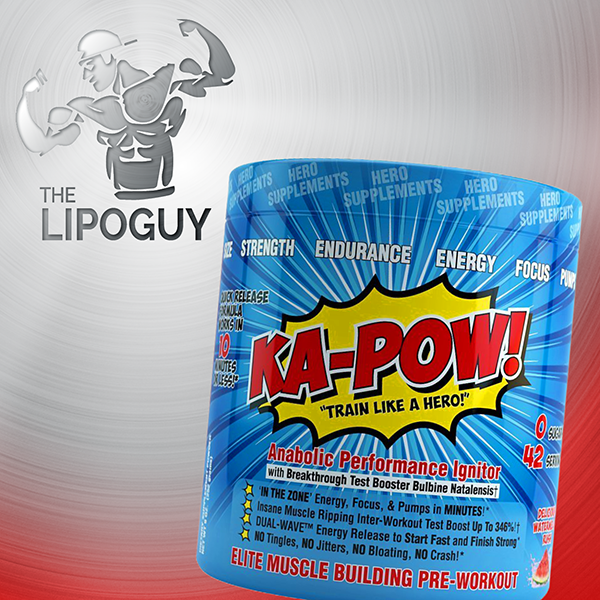 Try again my friends, Ka-Pow UNLEASHED is about to blow your mind! Strength, endurance, power, and pumps – nothing else matters in a workout! Find these and loads more products at www.thelipoguy.com.au – your online supplements store specialists.